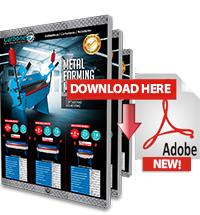 Carbone Costa Rica introduces its new line of metal forming machines with a variety of electric sheet shearing machines to cut metal sheets in a wide range of widths to work with metal sheets of sizes from 6 to 10 feet wide. With a SIEMENS main engine, SCHNEIDER electrical components from France. Equipped with a clutch of rotary operation. Sensitive for low noise operation, low maintenance and long life. ESTUN E21 control system with blades of 6CrW2Si material and gear pump. 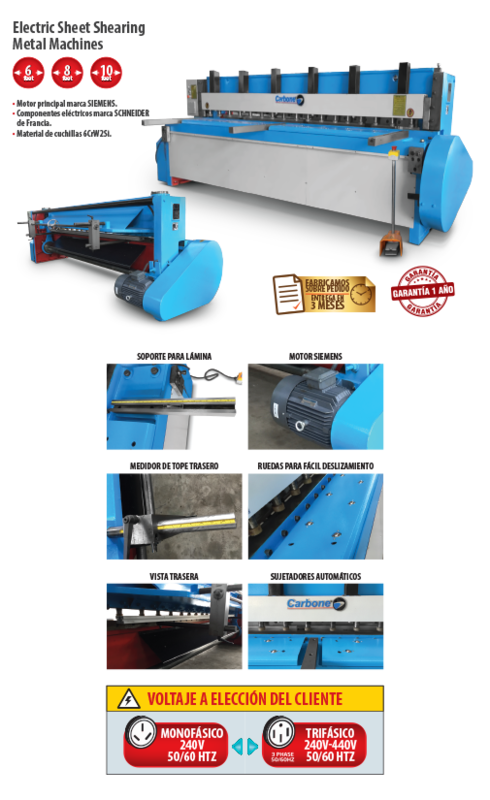 Cutting accuracy is ensured through the minimum displacement of the metal sheets thanks to adjustable butterfly spring device.